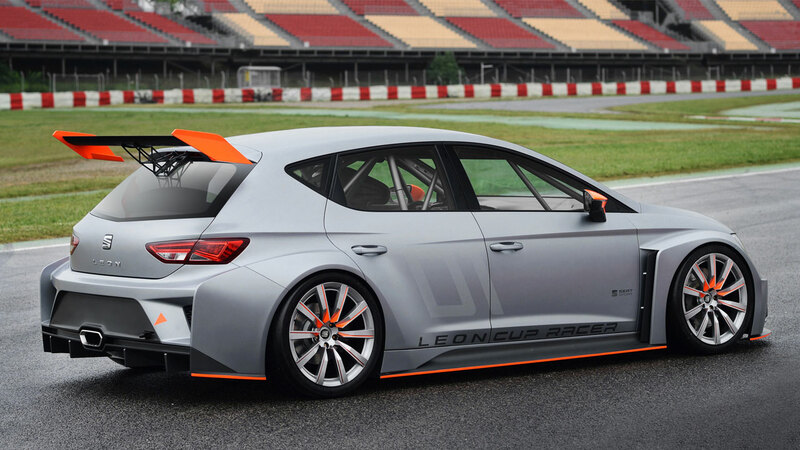 With the brand new Leon Cup Racer, SEAT is stating its unequivocal commitment to motorsport and to customer racing teams at the legendary GTI Wörthersee meet in the Austrian region of Kärnten. 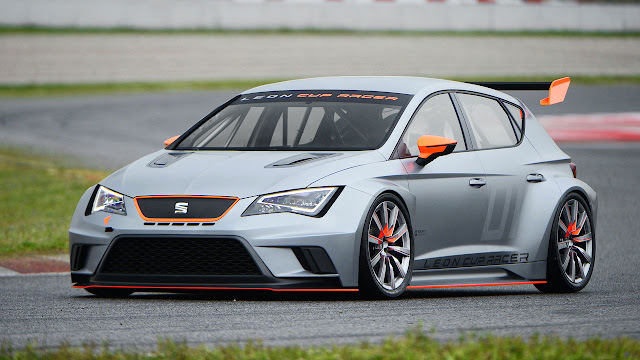 The Leon Cup Racer gives a very clear indication of what a SEAT touring car racer might look like, prepared for a wide range of racing series worldwide. The 330 PS Leon Cup Racer forms the basis for development work and test drives to be undertaken over the coming months. The Cup Racer will be joined on the SEAT stand by five more, extremely fiery and individually equipped versions of the Ibiza and Leon models. “Motorsport is deeply anchored in our brand; SEAT has more than 40 years of racing history and, with the Leon Cup Racer, we are now writing the next chapter for our highly motivated customer teams. The Cup Racer is not a show model, but the first test car for our development work,” says Dr. Matthias Rabe, SEAT Executive Vice-President for Research and Development. The Cup Racer, which is based on the five-door Leon and painted in metallic matte grey with orange accents, cuts a visually stunning figure. Its incredibly powerful stance on 18-inch racing wheels comes from a track that is 40 cm wider than that of the series production model. The new front end is laid out for optimum aerodynamic efficiency and maximum airflow to the engine and brake system, while the mighty wheel arches with their openings on the trailing edge aid the cooling effect on the four-piston brake system. The sills are heavily flared and, together with the front spoiler, the smooth under body, the rear diffuser and the two-phase roof spoiler mounted on a support, achieve maximum down force for high-speed cornering. Yet, even in the Cup Racer, the design DNA of the Leon remains fully intact: the distinctive full-LED headlights with the highly individual signature of their daytime running lights have been carried over from the series production model, as have the LED rear lights. The roofline contour is also the same as on the production model, just like the characteristic lines and precise blisters down the sides. The interior of the Leon Cup Racer is also ready for the track. Systematic weight reduction and a carefully minimalist approach define the inside of the car, which is protected by a high-strength roll cage. The bucket seat with HANS head-protection system also offers optimum safety. It is upholstered with specially developed leather that is exceptionally good at regulating moisture. The base form of the production Leon cockpit is retained, although the car’s driver information and controls are concentrated firmly on the multi-function steering wheel and the high-resolution TFT display behind it, ensuring that the driver always maintains maximum control over his racing machine. Power comes from a two-litre, four-cylinder turbocharged engine. It boasts a maximum output of 330 PS and maximum torque of 350 Nm. Power transmission to the front axle is handled by a six-speed DSG dual-clutch gearbox controlled from the steering wheel and an electronically controlled differential lock. A special variant of the Cup Racer for endurance racing can be equipped with a sequential racing transmission with a shift lever on the centre console and a mechanical differential lock. A preliminary price for the Leon Cup Racer has already been defined – the version with DSG transmission will cost €70,000 (excl. VAT), while the endurance version with a sequential transmission and mechanical differential lock is priced at €95,000 (also excl. VAT).